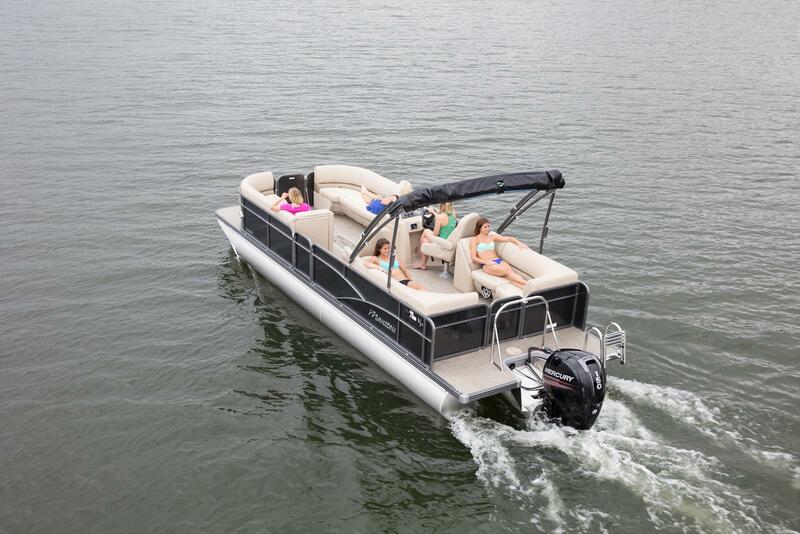 The Aurora LE is our most customizable line, making it the perfect choice for the discriminating pontoon boater. It comes with more standard features than most mid-level offerings from other manufacturers, and delivers a level of performance that can’t be matched at this price point. This boat has upgraded Angled Teak flooring, value package, a Kicker stereo with 4 LED speakers, bow filler bench, in-tube storage, chair upgrades, LED lighting, and a depth finder. This SHP Aurora LE is powered by a 250HO Evinrude E-TEC that will certainly impress anyone riding in this boat. Don't let this boat pass you by!